Roundel Magazine App Now Available On iPad and Android Tablets! 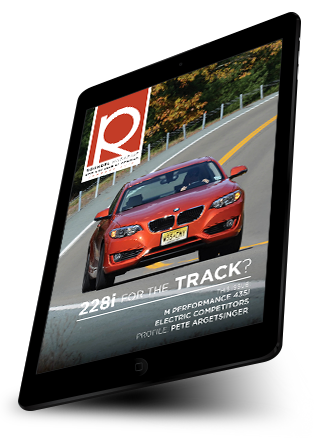 The best car-club magazine on the planet is now available for digital download via the Roundel Magazine app on the iPad and Android based tablets! To get your Roundel app, just visit the app store on your iPad and search for Roundel. Once you've found the app, tap the INSTALL button and enter your Apple ID and password. The app should take just a few minutes to download, depending on your connection speed. After the download has completed, just tap the Roundel Magazine cover image to open the app; it will then walk you through a series of on-screen prompts. To get your Roundel app, just visit the Google Play store on your Android tablet and search for Roundel. Once you've found the app, tap the INSTALL button and enter your Google Account info. The app should take just a few minutes to download, depending on your connection speed. To see the e-mail address that was sent to the Roundel Magazine App, please login and visit the Roundel page. This page will also indicate the last time your login information was sent to the app database and your current app subscription status. Please direct all support questions regarding the Roundel Magazine app to iMirus. You can contact them via email at support@imirus.com.